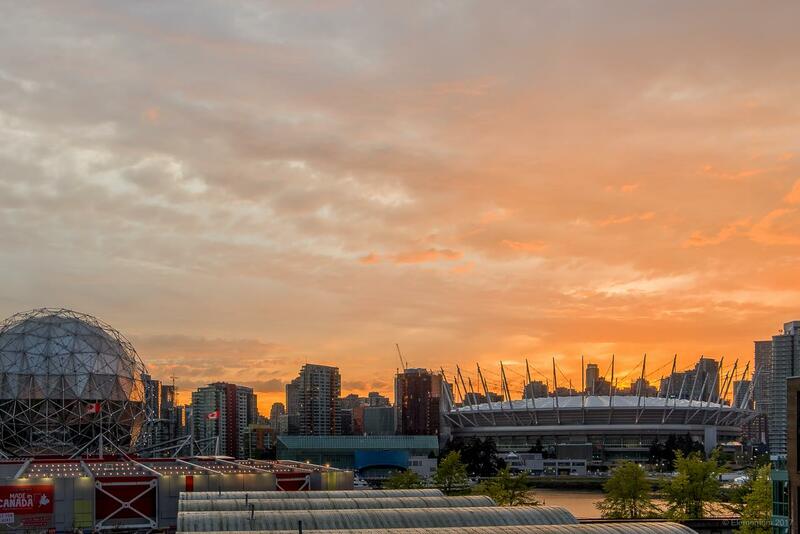 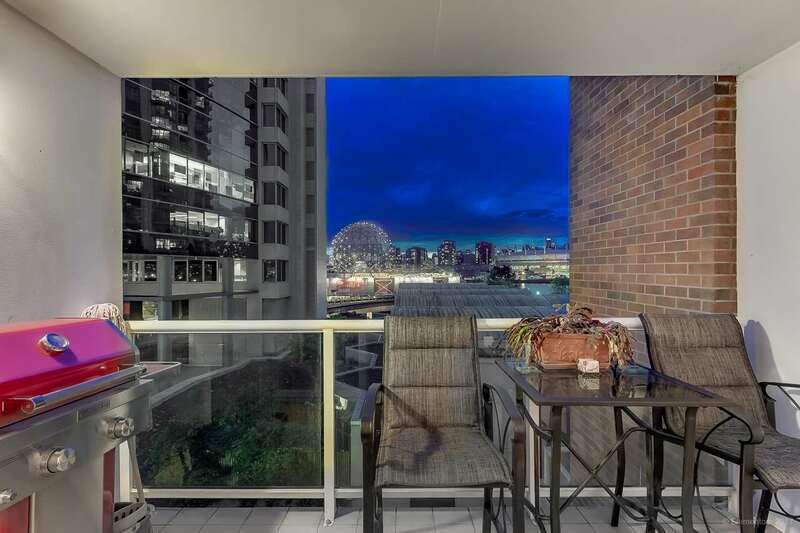 Breathtaking water views of False Creek, Science World & BC Place at Station Place built by BOSA. 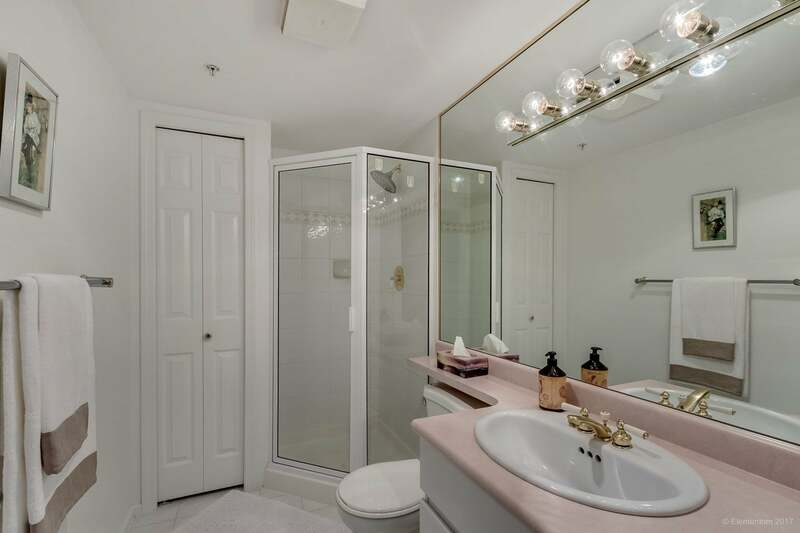 This newly updated quiet suite is in immaculate condition and features hardwood floors, gas fireplace, in-suite laundry & new designer window coverings. 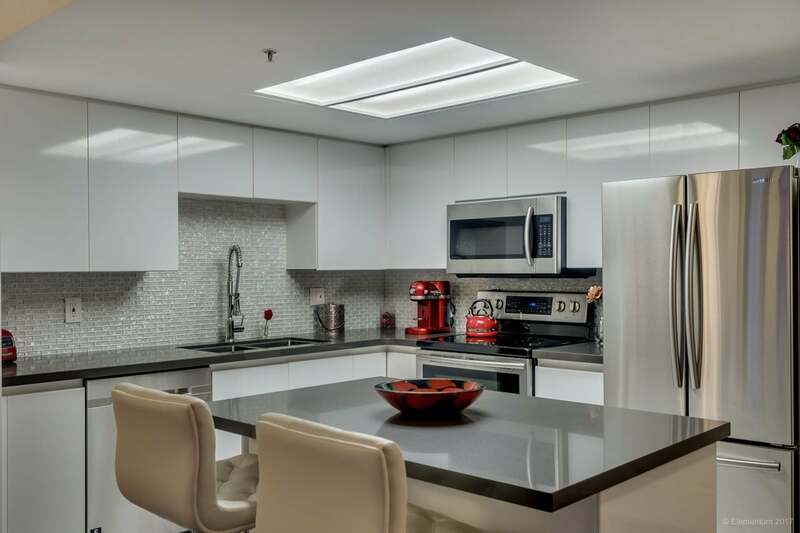 Kitchen has large island & stainless steel appliances. 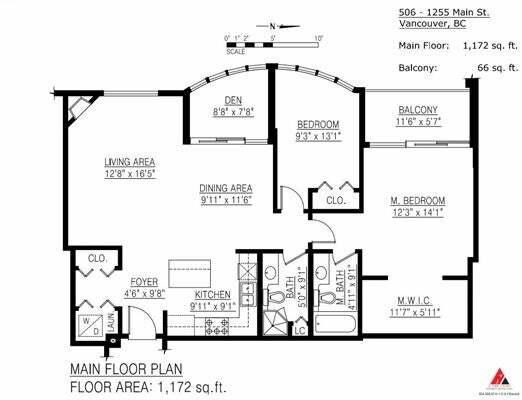 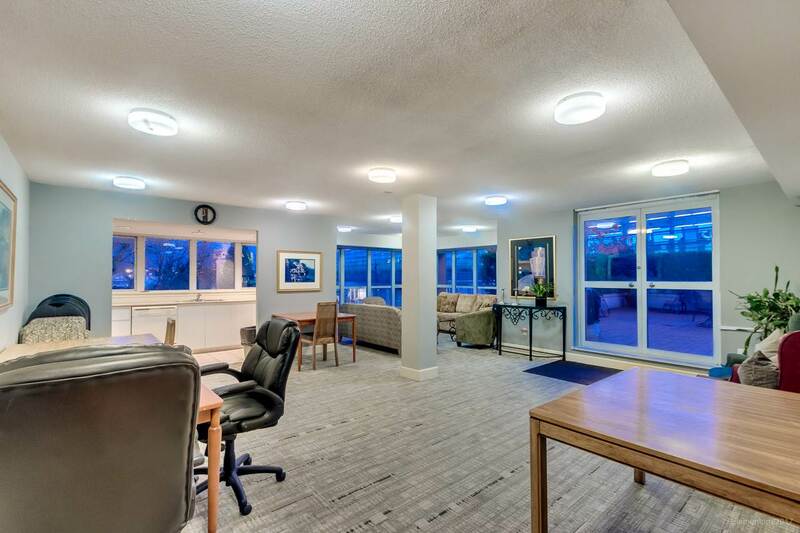 Solarium offers a flexible living space with options including an office, library or even converted into a 3rd bedroom. 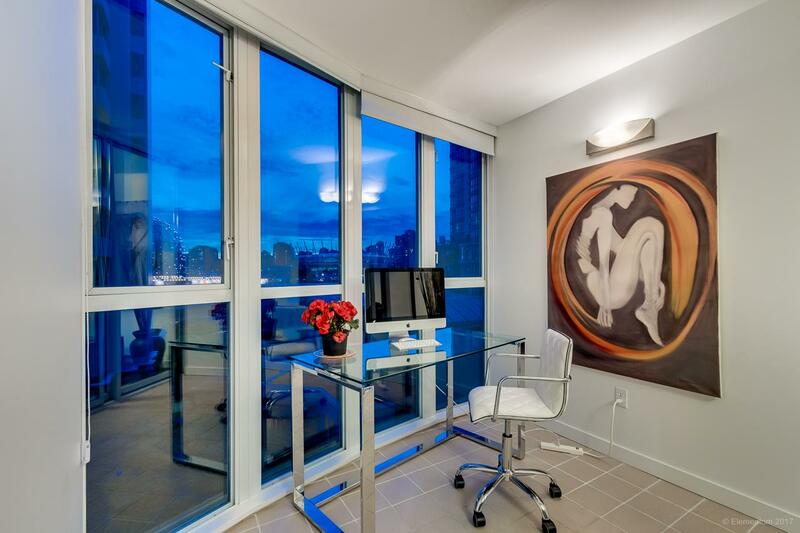 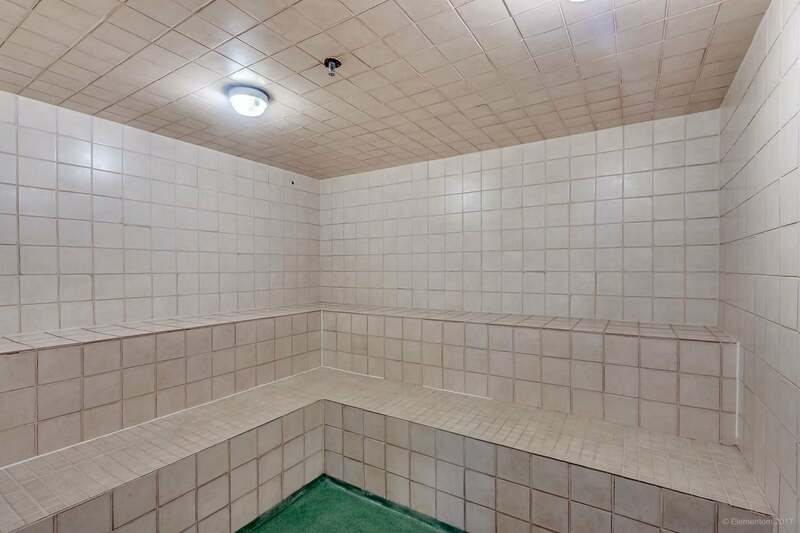 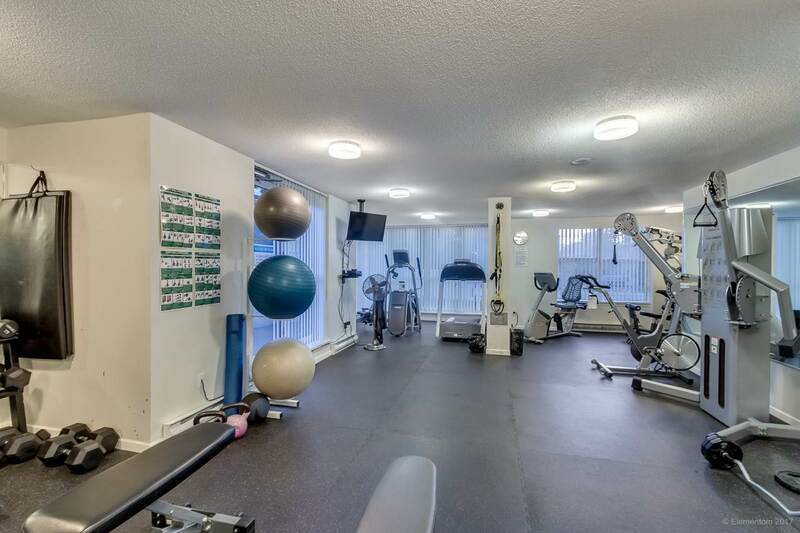 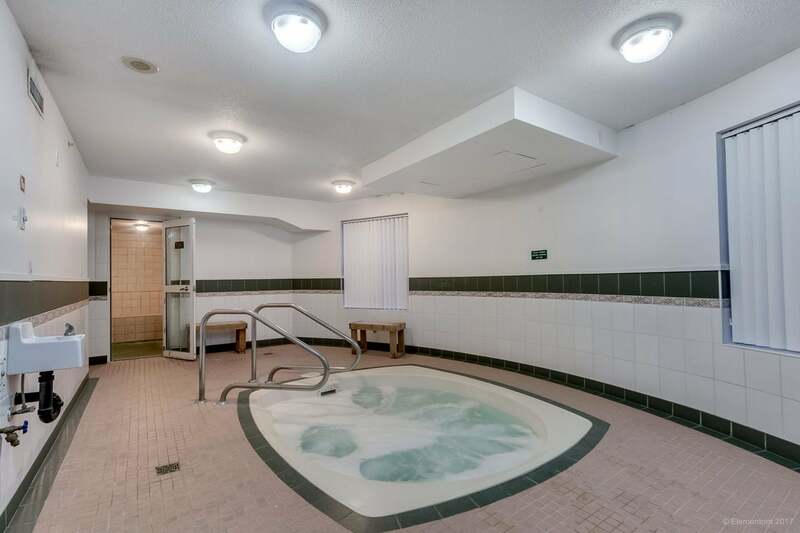 Amenities include gym, hot tub, sauna and meeting room. 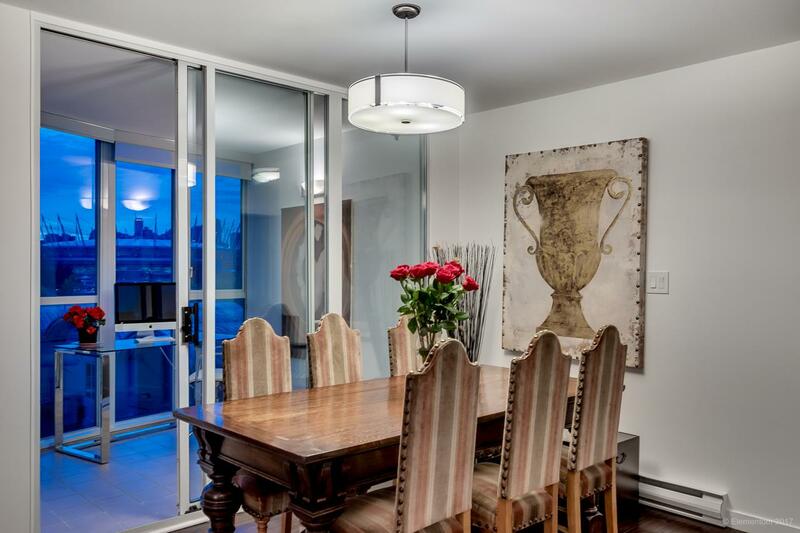 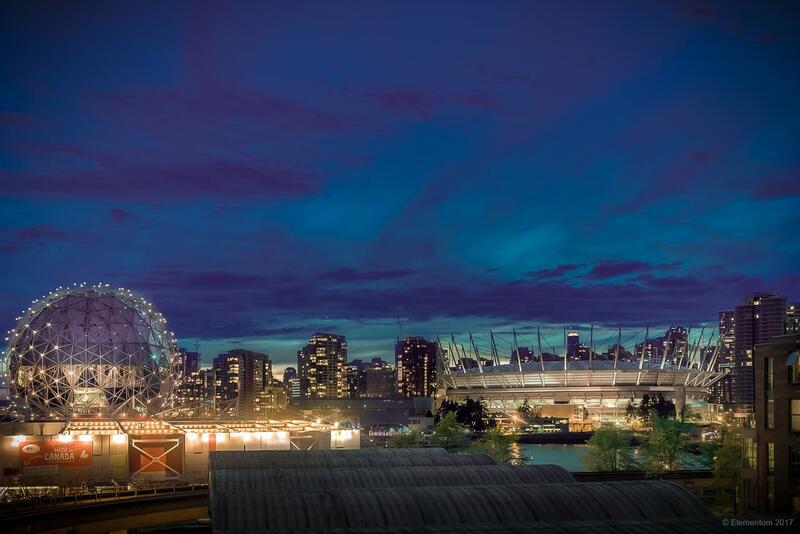 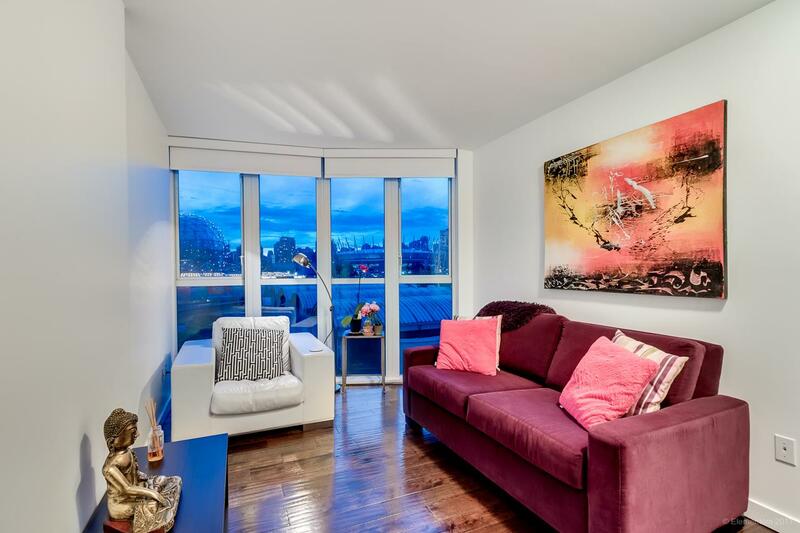 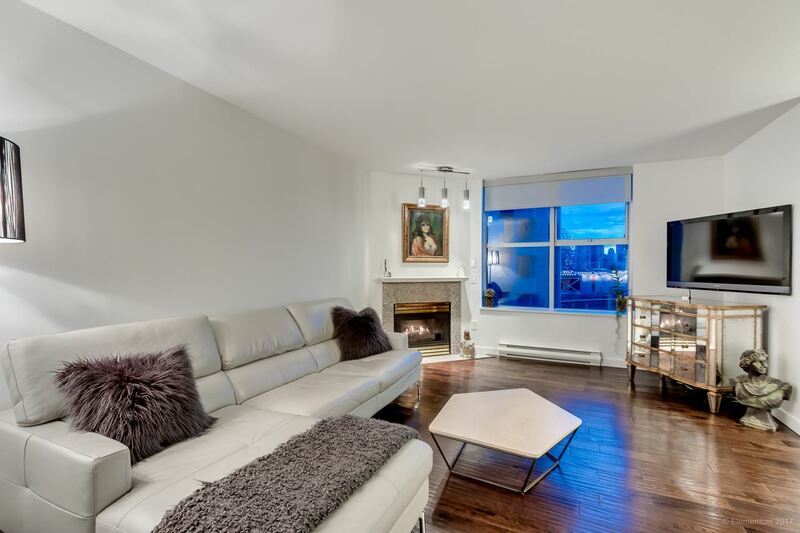 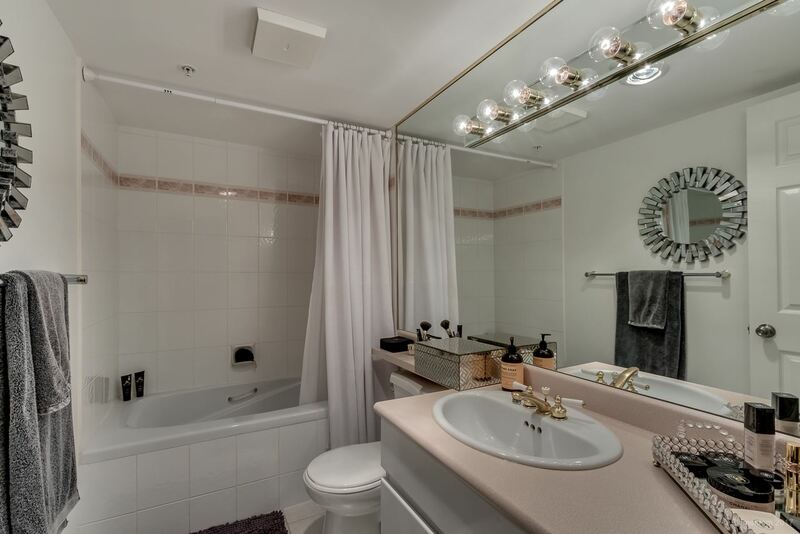 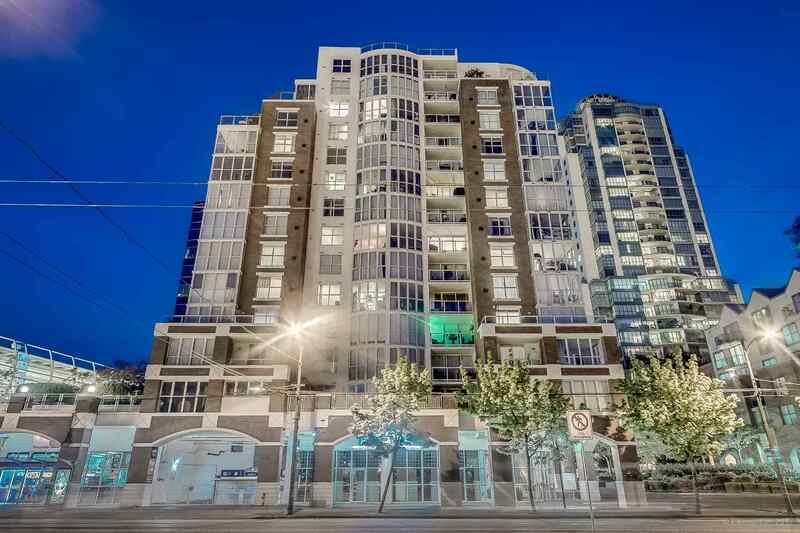 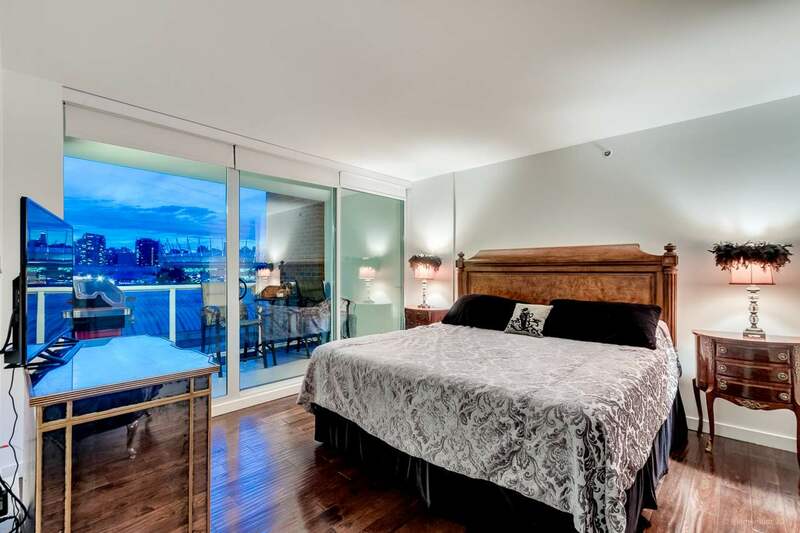 Convenient location just steps from Sky train, Seawall, Chinatown and Olympic Village.